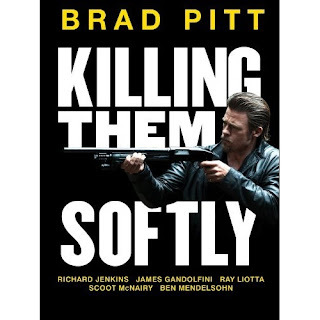 Killing Them Softly (2012) This movie has gotten a raw deal. It is a 5-star movie. The problem is it's an exceedingly subtle movie. Read through the mixed to negative reviews and you see one of two things (or both things): either the person thinks the movie is superficial politica, or they had expectations (because of the gangster genre) and were let down. Here's the thing. This movie is a recreation of the 2008 financial crisis. Every character in the movie represents a different group (like Richard Jenkins is obviously the American government). When you view the movie with this frame, as a parable, I think it takes on new dimensions. You're suddenly comparing characters and groups of characters (like the poker players) to their real-life equivalents (the poker players represent the American 1%). But you're also looking at the interaction between characters and then what that's saying about the interaction between the real-life equivalents. What do I mean by that? The final speech. I won't give it away, but a lot of reviewers and people who have seen the movie say the final speech is cheesy. Sure. Except when you view it through the frame of "Brad Pitt's character has a real-life equivalent", the final speech takes on a different dynamic. It isn't just some speech in a fictional narrative of some movie. It has a real-world influence, it represents something that's not fiction. Who does Brad Pitt's character represent? It's not a "who" rather than a "what". (Hint: it's the American Spirit). The question isn't "is the speech cheesy or not, is it bad or not, is it cool or not?" The question is: do you agree that the speech is representative of the 21st Century American Spirit? If not, why? If so, why? If you agree, does the speech make you feel a rush of pride or discomfort? Then you also have to analyze what it means that it's the avatar for the American Spirit that ends the movie with a surge of emotion. Is Andrew Dominick saying that despite all the **** from the 2008 crisis, the American Spirit will overcome it and win out? I think so. In other words: imagine taking the 2008 financial crisis and condensing it into a fairy tale wearing gangster clothes. That's what "Killing Them Softly" is. Don't expect a fast-moving gangster movie. Don't expect "The Departed" or "Goodfellas". Don't short-change the movie and think it's dumber than what it thinks it is. If it's not smarter than you, it's at least as smart as you. It's fine if you understand what the movie is doing and still don't like it. Maybe it really is too slow for you. Maybe you just don't like these kinds of movies. It's not a bad movie, though. Given time, people and critics and scholars will come to appreciate this movie. I hope you're one of them. Synopsis: During the economic turmoil of 2008, Jackie Cogan (Brad Pitt), an enforcer, is hired to restore order after three idiots rob a mob-protected poker game. I'm not a Ron Swanson, but I am a beer drinking, boot wearing, steak eating Die Hard loving guy. In other words, I was pretty much not the target audience for this film. But enough of my lady friends convinced me to give it a shot. I got these girls into Sons of Anarchy and Spartacus: Blood and Sand respectively so I figured I owed it to them to take their word. I loved this film for a variety of reasons. I remember seeing the trailer and rolling my eyes and assuming it was some kind of terrible Glee era product trying to capitalize on the success. And honestly it could have been, but that still didn't detract from my enjoyment. First, so far as I can tell this is an original script/film etc. And whether that's good or bad doesn't detract from my appreciation. So already points for being something new, even if the story is as predictable as you can kind of guess it is. But I've seen Die Hard tons of times. It's about the journey not the destination. And Pitch Perfect's journey is great. You all know the story, Beca (Anna Kendrick) joins a fledgling college Accapella group and they go to finals. But it's charming, sweet, witty, and the music is actually pretty good. Special mention again to Anna Kendrick who is a FANTASTIC singer, I was very blown away. Gorgeous voice. Synopsis: Pitch Perfect is an outrageously hilarious laugh-out-loud comedy that also stars Anna Camp (The Help), Brittany Snow (Hairspray) and Rebel Wilson (Bridesmaids). Synopsis: An epic adventure of a group of heroes with extraordinary abilities. 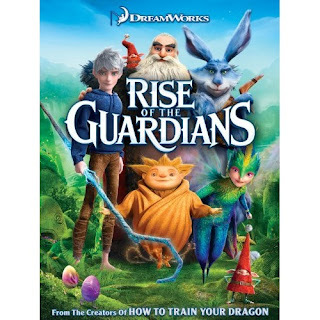 When an evil spirit, Pitch, tries to take over the world, the immortal Guardians must join forces to protect the hopes, beliefs and the imagination of children all over. movie-this-year.blogspot.com a participant in the Amazon Services LLC Associates Program, an affiliate advertising program designed to provide a means for sites to earn advertising fees by advertising and linking movie-this-year.blogspot.com to Amazon properties including, but not limited to, amazon.com, amazon.co.uk, amazon.ca endless.com, myhabit.com, smallparts.com, or amazonwireless.com.